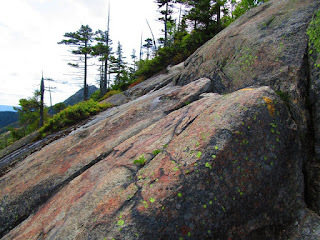 This trail is located on the northeast side of Mount Chocorua. The vast majority of it is, though scenic, not-so-terrifying. What earns this trail a place on this list is one specific ledge. If you slip on that one spot, then it's a long way down. The ledge doesn't have the best hand- or footholds, either. YOUR TRIP REPORT HERE -- Send me a link to your trip report and I will happily post it here!